Bova's on The Hill is an easy one-stop shop for all your needs. Bova's is a frozen custard kingdom, and a great market for food. 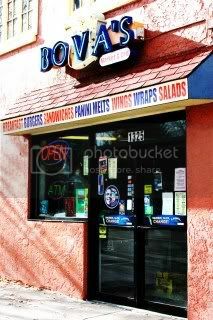 Bova's serves a great selection of breakfast foods, burgers, sandwiches, panini melts, wings, wraps and salads. Of course, there is frozen custard and frozen custard cookie sandwiches for dessert after a meal, or for something simple to satiate your sweet tooth. Need anything else? Bova's is the place for you, because Bova's is also a market. Come and see what's in store for you! Click HERE to see bova's full menu!